Madame Stella Marquez Araneta has reacted to the issue about Mary Jean Lastimosa's much-criticized Colombian-designed evening gown and national costume at the Miss Universe 2014 preliminaries. Filipino pageant fans are furious over the statement made by Binibining Pilipinas Charities Inc. (BPCI) chairman Stella Marquez Araneta, aired on TV Patrol Weekend last night, January 24, 2015. 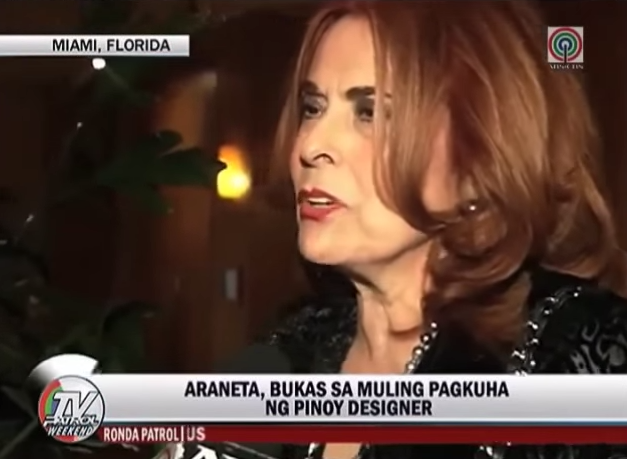 Reporter Ginger Conejero, who's covering the Miss Universe 2014 in Miami, asked Madame Stella about the reason why a Colombian designer, and not a Filipino, made Mary Jean Lastimosa's national costume which was heavily criticized by netizens, but the Colombian lady just made herself even more controversial with her statement. Just like our previous Miss Universe reps, MJ's gown and costume were designed by Colombian fashion designer Alfredo Barraza, a good friend of Madam Stella. According to what Madame Stella said on TV Patrol, the reason why she's been choosing designs from abroad is because the Filipino designs presented to her weren't good enough for our candidates. "If I didn't do it for several years, it's because the designs that were given to us were no good enough for our candidates. 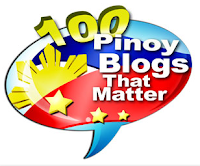 That's the reason I went abroad," Madame Araneta told Conejero. Whew! I can't really believe she said that. I find it insulting to the talented and world-class fashion designers we have. We should not allow Stella Araneta to run away with her comment. Our artists should find a case against her for chairing an association that should represent the country. She's Columbian so let her go back to Columbia and be chair there instead. Let one of our Miss world beauties chair Bb. Pilipinas insteat. i really don't know why she still her in a long time ago ok fine is she want stay ? stay here, but i can imagine she's still doing that business ? why she don't let filipino handle that business ahh maybe she's the share holder , actually we can manage without her. share holder , actually we can manage without her. HINDI BA PWEDING ALISIN NA YANG SI STELLA ARANETA AS CHAIRMAN OF BB PILIPINAS CHARITIES!? MALAKING INSULTO NA MALIITIN NIYA ANG KAKAYAHAN NG WORLD CLASS FILIPINO DESIGNERS!! !....BAKIT SYA LANG ANG NAGDIDECIDE KUNG SINO AT KUNG ANO ANG ISUSUOT NG PHILIPPINE CANDIDATES? MAARING MAGANDA SA TASTE NIYA ANG CREATION NI ALFREDO BARRAZA OF COLOMBIA, PERO PARA SA KARAMIHAN NG MGA PILIPINO LALO NA NG PHILIPPINE DESIGNERS, ANG PANGIT!... PANGIT!... PANGIT!... PANGIT! NG NATIONAL COSTUME NI MJ LASTIMOSA!.....SHE LOOKED LIKE A WHITE CAKE WITH COLORFUL FLOWER FROSTING!! !....KAHIT PA SABIHIN NA "PINAGBENGA FLOWER FESTIVAL" ANG THEME NG SUOT NI MJ, KUNG FILIPINO DESIGNER ANG GUMAWA NOON....I'M SURE HINDI MAGMUMUKHANG DESSERT SI MJ! MATAGAL NG PALPAK YANG SI STELLA ARANETA! GIVE CHANCE TO OTHERS MS. STELLA ARANETA!....MAGRESIGN KA NA!!! !....PARANG AWA MO NA! I DON'T CARE IF YOU ARE AN ARANETA AT RELATIVE KA NI MAR ROXAS! BIG DEAL YUNG NATIONAL COSTUME FOR THE MISS UNIVERSE COMPETITION! WAG NINYONG IKATWIRAN NA ...NASA NAGDADALA ANG NATIONAL COSTUME...OBVIOUS BA NA DAPAT MAGBIGAY NG PLUS POINTS ANG NATIONAL COSTUME!....HINDI YUNG DAPAT PANG MAG WORKING HARD ANG CONTESTANT PARA MAGMUKHANG MAGANDA ANG NATIONAL COSTUME! PALPAK KA STELLA ARANETA....PALPAK!! !